Blessed with year round waves Morocco is a perfect destination for all levels of surfer. For those learning to surf, the consistency of small to medium sized surf is the one of the great advantages of the particular section of the coast where we are based. 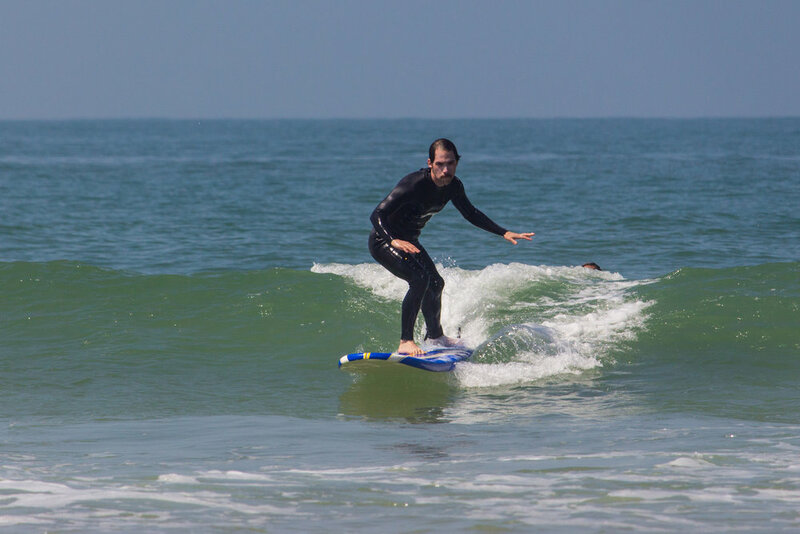 Along the coastline there are various surf breaks for all levels but we take all our beginner surfers to sandy bottomed beach breaks which are ideal for learning to surf as the waves break over a soft sand bottom. With over 300 days of sunshine a year and a temperate climate, Morocco is the perfect year round destination for sunshine and surf! Come learn to surf under the Moroccan sun. Because you never know who you may run into at the beach! Check out this herd of camels spotted crossing one of our local beach breaks last summer.